Last night I had opportunity to view the beautiful documentary, Mr. Patterns, at the Esker Foundation. I was so happy to meet up with Wendy Lees of Love Art in Calgary and to sit back in such a perfect space, nibbling on popcorn and sipping lime bubbly. If you have not yet visited the exhibit Fiction/Non-Fiction, please do. Sometimes people appreciate my book suggestions. As related to the topic of the documentary, I recommend two books. 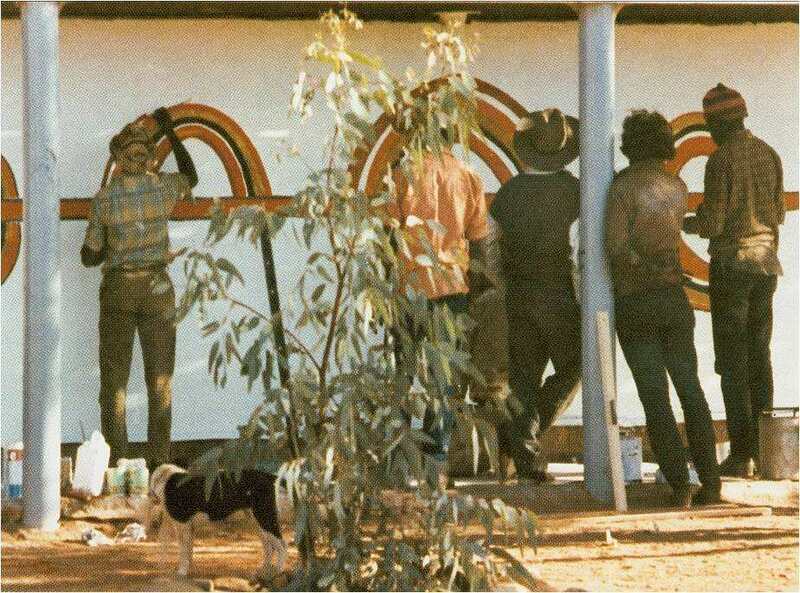 A 1986 book, Songlines, written by Bruce Chatwin is directly related to the Dreamtime of the Papunya Tula artists. I had tears in the dark when I saw in the documentary, the artists singing the Honey Ants…a powerful piece of iconography, strong symbols, on the side of a building. I also recommend, especially for my women-readers, Marlo Morgan’s Mutant Message Down Under. These two books will introduce the reader to a context as it relates to the status of the indigenous peoples of Australia. The documentary presented parallels to the stories of indigenous peoples the world over. A must-see. The Papunya Tula art movement says so much about the human spirit and Geoffrey Bardon is to be commended for his vision and his promotion of the artists throughout that period of history. The documentary was laced together with 16 mm. footage. I enjoyed that sensibility as it contributed to themes of memory. 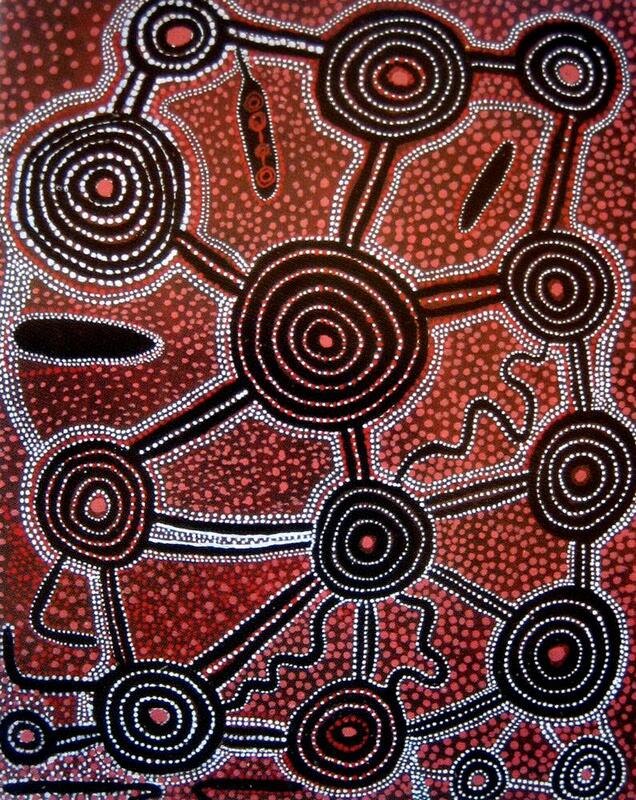 This entry was posted in Creativity, Faith, Fine Arts, Memory & Nostalgia, Movies and tagged 16 mm., Aboriginal Australians, art movements, Bruce Chatwin, Documentary, dot painting, Economics, film, Fine Arts, Geoffrey Bardon, Marlo Morgan, Movies, Painting, Papunya Tula, Wendy Lees by Painter Lady. Bookmark the permalink.